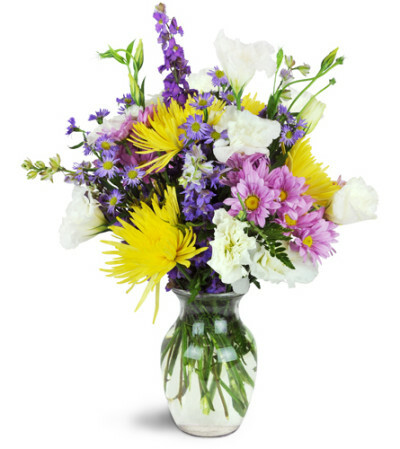 For a chic, modern gift, send this pretty arrangement of colorful blooms. 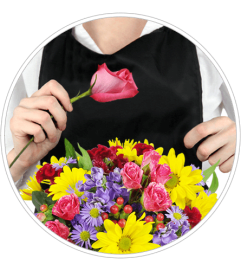 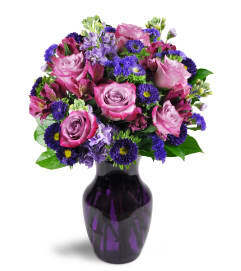 In fresh shades of yellow, purple, and white, it's a charming arrangement for any occasion. 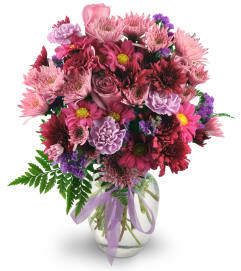 Fuji mums, daisies, larkspur, and more are arranged in a classic glass container.